The sun beats down overhead, and a welcome breeze rolls over the skinny island’s ridge, rustling the casuarinas and sweeping through the old bay windows of The Haynes Library, where musty novels and nautical maps tell the story of The Bahamas’ oldest public library. Built in 1897, with glorious views of the azure harbour, this marvelously-maintained colonial relic is open for business as usual. Welcome back to Discover Cacique. 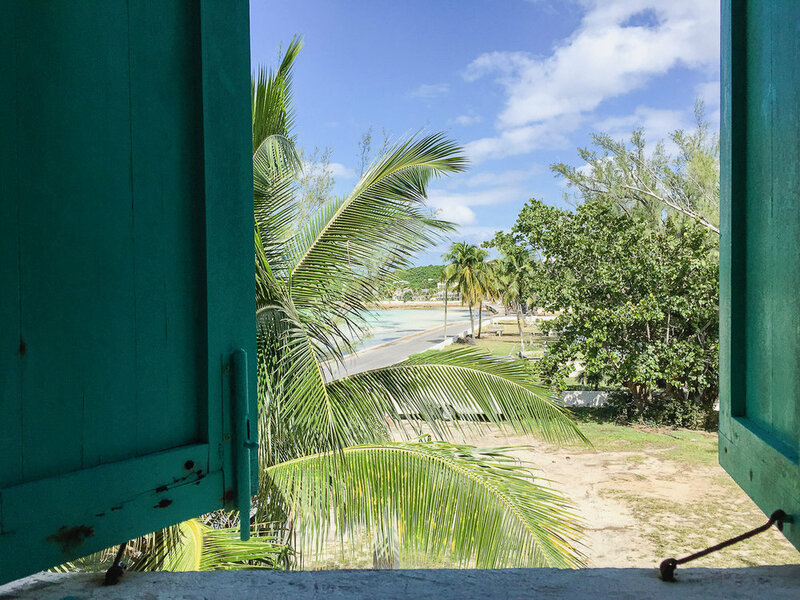 Today we’re puddle-jumping across to the island of Eleuthera to the fading pastel-pink splendor of historic Governor’s Harbour - the very first capital of The Bahamas with the nation’s very first public library. Haynes Library. Image by Alessandro Sarno. A Fine Place for a book worm. Haynes Library was built by colonial Governor William Fredrick Haynes Smith. The upstairs has long housed a library, but the ground floor was originally comprised of offices and a humble abode for the local doctor. The pastel pink building has been renovated and maintained through the efforts of an organization known as “Friends of the Library” who have made sure that this historic site remains a fully functioning Public Library with the addition of computers and Wifi to bring it into the modern age. A view from the library. Image by Alessandro Sarno. School children play on the library grounds. Image by Alessandro Sarno. A Story Fit For A cocktail. Eleuthera was founded in 1648 when Captain William Sayles and a group of Puritans, known as the Eleutheran Adventurers, sailed from Bermuda in search of religious freedom. Along the way, they found this beautiful gem of an island and named it Eleuthera, after the greek word “eleuthero” meaning “free" because of the intense sense of freedom felt about the untamed nature of the island. Book shelf. Image by Alessandro Sarno. The library with the bay beyond. Image by Alessandro Sarno. Wind from the Carolinas tells the tale of three American loyalist families who fled the revolution, abandoning their plantations for the island life. Their grand attempts to recreate their wealth make for a fabulous read. Out Island Doctor, another must for the Bahamian bookshelf, tells the true story of a man who leaves behind the security of small-town Indiana to embark on a new life, sailing around The Bahamas as a self-taught medical practitioner in the 1950s. Aerial of Governor’s Harbour. Image by Eleutheran Life. At Cacique, we love to tell stories about the characters and places that coloured the rich tapestry of our Bahamian history. For more information on historic experiences with Cacique International or to arrange a tour to one of our remarkable Bahamian landmarks, please feel free to contact us.